The vote for Brexit wasn't really about debating the finer points of EU membership - it was a big thumbs down for the establishment from over half the UK voters who feel disenfranchised. This is a reflection of the ever-widening gap between the wealthy and the working classes, the educated and the uneducated, the socially-connected ambitious younger generation and the disconnected older generations, who've lost interest in the direction of the modern world that no longer represents their interests. Moreover, this rebellion against the establishment can be clearly mirrored in many of our enterprises, where similar issues of disenfranchisement are rapidly permeating. This means we need to ensure our businesses and colleges alike are actively involved in reorienting this 30% to avoid their exit from working society. This is serious stuff which needs to be urgently addressed by our politicians, if they genuinely want to get back in touch with their increasing base of disenfranchised voters. We've long-countered the whole argument about job elimination and offshoring, with the response that businesses need to be competitive and this is all part of the natural evolution of society and business. However, when 30% of services jobs are likely to be phased out over the next five years, we need to ensure these people can orient themselves into new jobs. Politicians need to forge closer ties with business leaders to ensure this happens, otherwise we'll have more Brexits and more fascist lunatics creating frightening futures for us. When you have 52% of your voting public sticking it to the establishment, there is a serious situation emerging that could change the game forever: if we can't have leadership that can get back in touch with the people doing these rote jobs, we will end up with governments that force even more draconian measures on businesses to protect jobs. And this will likely mean less competitive businesses and less jobs to go around in any case. This is a journey to the bottom if we give in to archaic government measures and an avoidance of investment in work creation through re-education and training. Taking away EU employees from British firms, and the ability for low-wage EU workers from places like Poland, Ukraine etc to wait on tables and clean hotel rooms, the economy is much worse off. Just as a benchmark, British science is hugely dependent on EU grants and talent to keep it going. It's the same with university programs and technology start ups benefitting from EU synergies and subsidies alike. 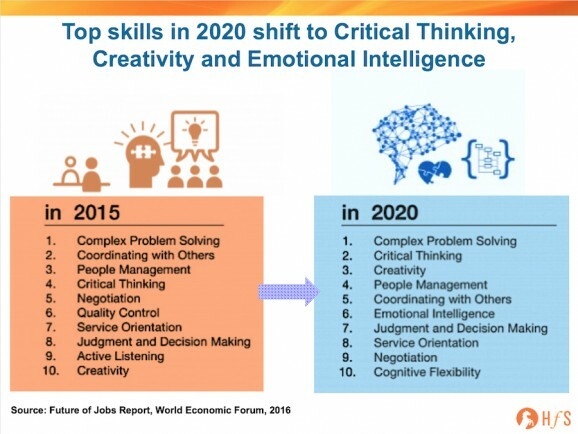 Many governments need to accept the fact that this 30% of future job elimination is caused by woeful education systems over the last few decades that long lost touch with the reality of business and modern day commerce. Serious investments need to be made by governments to fund the reorientation of workers to be relevant for the future workplace. Our businesses need to be funded to retrain staff and retain them, not simply look to reduce headcount wherever possible. Brexit symbolizes the failure of government to listen to so many of their people who are just angry. They feel neglected at the ever-widening gap between the rich and the poor. There's a reason Bernie Sanders and Donald Trump (for various reasons) gained so much popularity. Love or hate their policies, many people see them as politicians who can "hear" them. 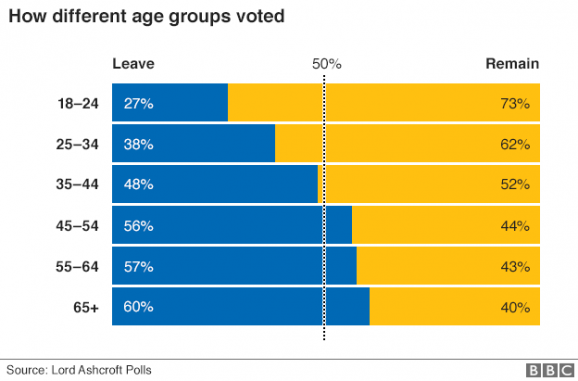 David Cameron may have fought - and lost - the cause to keep Britain in the EU, but the majority of his people felt cut off from the future and made their voices clear. The painful process now begins for legacy establishment politicians across the globe to wake up to the reality that an increasing majority of their voting bases are fed up with their lack of affinity to the common workers, and the fact that our business leaders have limited (or any) incentives to protect them or reorient them. Otherwise, they will get voted out and we'll have some alarming social unrest that could well put us all out of business. This is serious stuff, and we can't afford to keep brushing these issues under the carpet in a democratic society. Phil, well said and well written. Wow - powerful stuff and definitely not bedtime reading, Phil! Thank you for putting together such an insightful analysis. While I agree on the points about reeducating people with new skills etc, I do worry what happens to those who simply cannot readapt and learn new capabilities that are relevant. Are we facing a future unemployment crisis of people, particularly in the 40-plus age group who cannot adapt? Phil Great insight! Very well summarized with call to action for all. @Partricia - this is a crucial question and probably the principle use of the work "frightening" in the title. IMO this is going to be the biggest single issue for the next couple of decades - massive numbers of unemployable people, especially in the 45+ age group, who have limited capability or passion to readjust. You can see the seeds already being sown for this, with many people we probably all know who are going to be cast aside after their next layoff. The next recession (heaven forbid, but we'll venture into one - perhaps sooner, than later) will be all-defining for a future where we have to cope with the burden of the permanently unemployed who have "left the workforce" (of which there is already a sizable number). Socialism will come back in abundance to support the unemployed masses - our taxes will increase to support these people. The future will become a trichotomy of the (1) cerebrally-employed, the (2) manually employed and the (3) unemployable. My only hope is the younger generations will continue to make themselves employable for the former two categories and the third category will eventually grow old and retire peacefully. Improved education / on-the-job training should eventually recreate the new workforce balance, but this could be a 20-30 year cycle while the "unemployable" workforce, that is no longer equipped to be retrained - or wants to be retrained, phases out. The current political turmoils are simply the first big warning signs of what's ahead... maybe some good will come of this - a call to action from politicians to recognize the issues and fill the developing leadership vacuums in several countries. Phil - very good read, admire how you de-politicize the discussion and highlight the core issue of disenfranchised working classes. This is not only a UK phenomenon, but pretty much everywhere in the 'West', a feeding ground for right-wing fascism and gut-feeling populist Trumpism. Scary to witness, hard to solve because it has basically been going on for almost 40 years, since the invention of the word globalisation. @Derk - Thanks for the inputs. Let's cut right to the chase - the core issue here is the growing chasm between the working classes (or "middle class" as they term it in the US) and the affluent classes, many of whom were bailed out in 2008 and made even wealthier than ever. All it takes in a nasty recession and we could really see the seeds of quasi fascism and communism resurface (which we're seeing already, let's be honest). 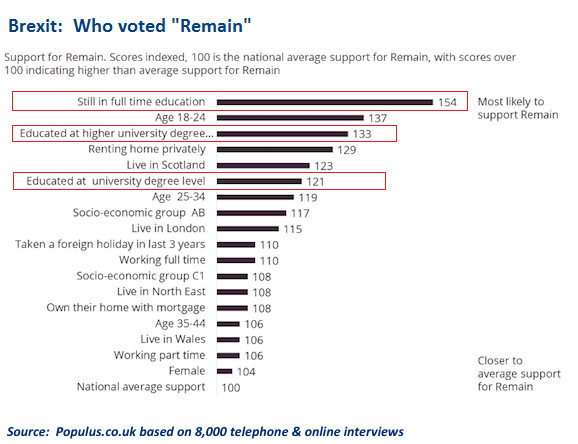 The working classes are fed up - why should they care about the EU (for example)? What does it do for them? They don't get any subsidies or free education classes... True, they should care about their children and their future, but the politicians have lost touch with the common worker who needs retraining, who needs a future to work towards. We've watched this chasm grow since 2008 in a way we've never seen and shame on the politicians for taking donations from their rich supporters and letting the wealthy continue to exploit the system. The chickens are coming home to roost - now we need some leaders to emerge to drive the changes. Phil, Excellent observations and well stated. Love the analogies. Uncertain the ultimate outcomes but clearly there are measurable impacts now and in the future. Democracy is a " good " thing but doesn't always result in what is best....but it always results in the decision of the the majority of the voters. And that is a good thing. Always appreciate your insight and compelling articles. Thank you. Phil, very nicely you have connected the dots in the case of Brexit but is also a universal phenomena globally, especially today where the speed of change is most rapid and those resisting it or in denial of it often find themselves becoming less relevant in the new order at a fast pace. This is such an apt analysis of the situation. Clearly, inability of leaders to listen is at the core of the problem. I do hope that businesses don't give into this fascism and let it dictate how they operate. It will be tough to do so maybe, but how businesses and other countries learn from this issue and take the right steps, will define the future. Phil, your observations also resonate with me. The U.S. is about to see our own version of Brexit in the US general elections in November. The swell of dissatisfaction with the establishment by a large part of the electorate is bound to produce the kind of knee jerk that drove the vote in the UK. Focus on education reform and corporate boards facing up to their responsibility to truly help the people they displace will be a key factor in determining how the world adapts to the shift to the new world paradigm. Enjoy your comments. 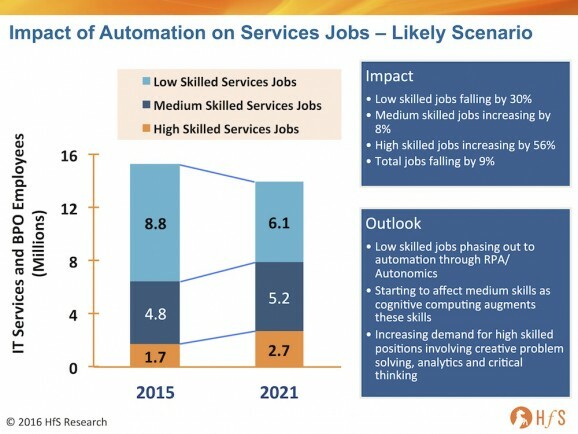 To your response "The future will become a trichotomy of the (1) cerebrally-employed, the (2) manually employed and the (3) unemployable" I think this may be a short-term as robotics in the next 20-30 years will change this to (1) cerebrally-employed and (2) unable to find work for whatever reason. Agree the rise of socialism will occur. And to your point that business needs to be equally mindful I believe we need to see a rise of socialistic/entrepreneurialism where by a coalition of politicians and business leaders pool ideas and resources to make the lives of those "unable to find work" meaningful and they are able contribute to our society.